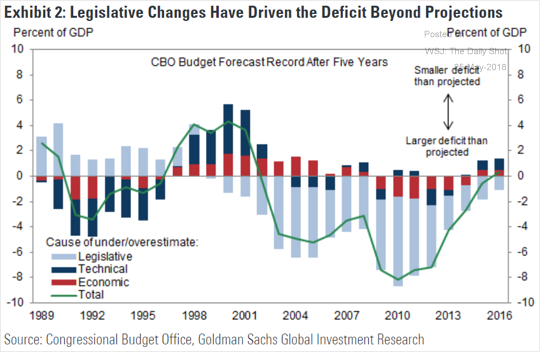 The United States: Why has it been so hard for the CBO to forecast the US budget deficit? 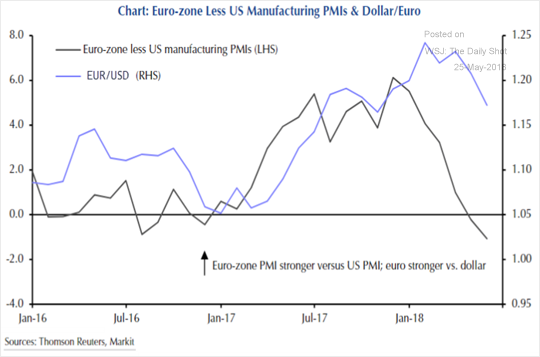 The Eurozone: The divergence between the Eurozone and the US manufacturing PMI doesn’t bode well for the euro. 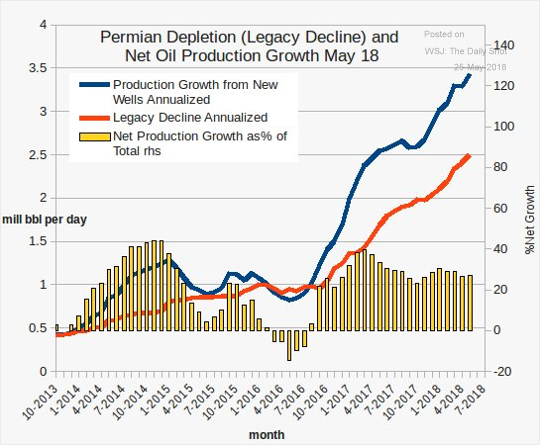 Energy: This chart compares the decline in output for legacy wells with the production growth in new wells in the Permian Basin. 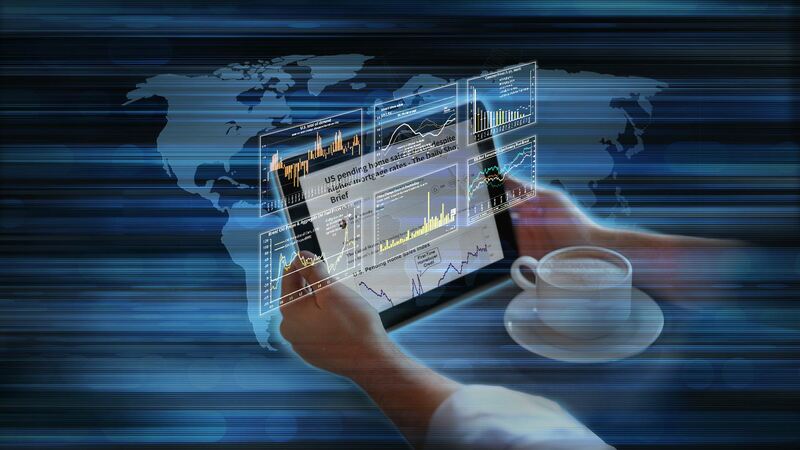 Equity Markets: Is cross-border M&A overheating? 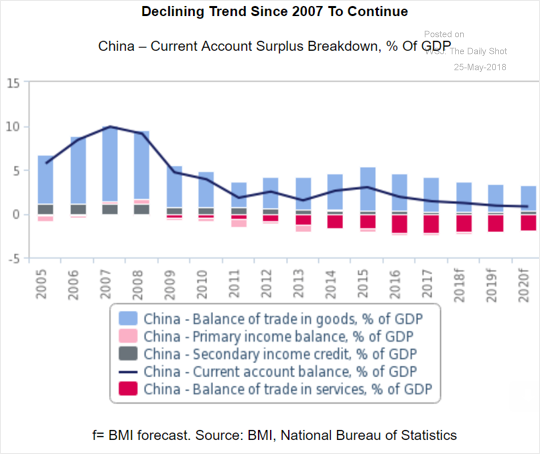 China: Here is the breakdown of China’s current account surplus. 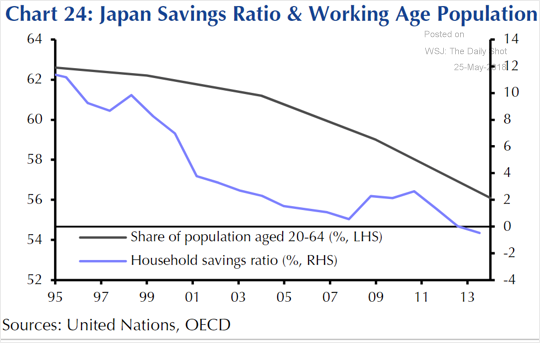 Japan: As the population ages, the household savings ratio continues to decline. 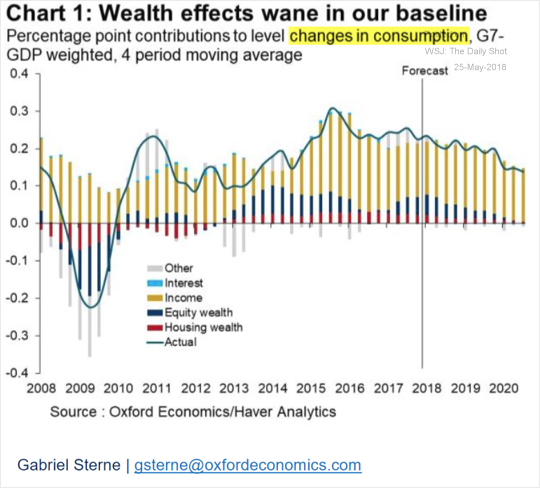 Global Developments: What are the drivers of consumer spending globally? 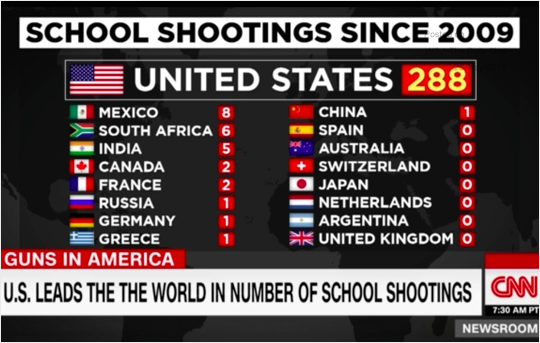 Food for Thought: Some international statistics on school shootings. Have a great holiday weekend! The next brief will be out Tuesday, May 29th.